The CX-30S Quad Copter with FPV camera allowing you to fly in first person view. It feel just like you are Flying in the AIR and see above everything. The flying experience is truely amazing like never before. Nothing is comparable to flying with your own eyes in the AIR. 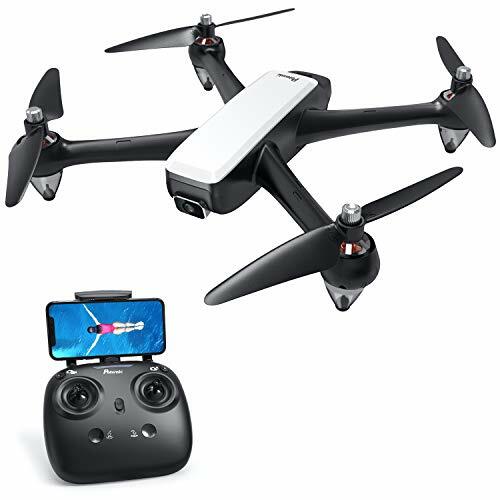 The Drone is compact in size with only 5.75″ x 5.75″ inch. Not only has an elite outlook, but also powerful motors, flexible actions and steady performance. 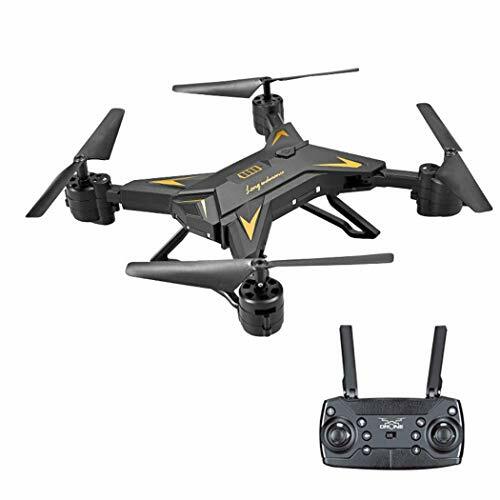 KiiToys has partnered with Cheerson to manufacturer this outstanding Drone. The CX-30S drone is recommended for a person with all skill level, flying indoor or outdoor. It comes with 3 Speed mode, High, Medium and Low, designed to fit all different skills level. It is Extremely stable and very easy to control with the game pad style radio controller. 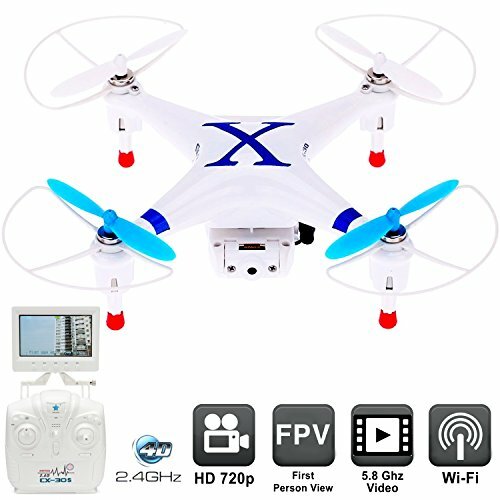 The remote control equipped with 2.4Ghz which gives you a long range and accurate control over your quadcopter with no interference, more sensible response and further RC distance. The 6 axis gyro system equiped on the quadcopter will provide you an extreme stable flight and also enable you “Throw to Fly” – to throw the quadcopter in the air to start the flight! Don’t hesitate to bring home such an excellent remote control Drone quadcopter with FPV camera today. Click the – Add to Cart – Button and get it NOW! FPV REAL TIME VIDEO — KiiToys CX30S comes with Real time Video Feed tansmission. It allows you to fly with your eyes and see what’s infront of your Drone in the AIR. It is unbelieveable experience which feels like you are flying in the AIR and go anywhere you wanted. It also comes with 5.8 Ghz Monitor, which will not interfere with your 2.4Ghz controller, and mush faster and stronger than other WIFI models which uses your phone as monitor. CREATE STUNNING AERIEL VIEDO – Quad Copter with HD CAMERA mega pixel 720p gives you high quality & resolution, stable flight videos and pictures, not the other low quality Jello videos! The camera is removeable for upgrade. POWERFUL MOTOR, GREAT CONTROL – Quad copter UAV strong motor using 3.7v 700mAh Lipo Battery to power, fast moving works great outdoor & indoor, LED light indicates front and back of the heli and also great for low light flying and light show, 4-channel 2.4GHz Remote Control with fine tunning which can fly multiple Quadcopters at the same time! 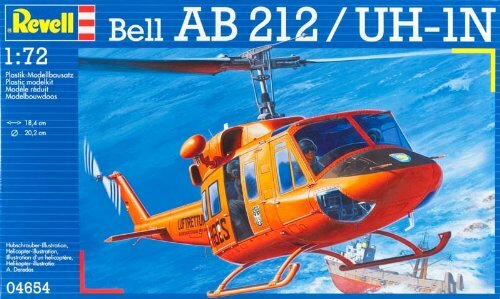 Using spread spectrum technology long range remote distance, best anti-interference ability. STRONGLY BUILT – Precision built with strong material to withhold impact and increase durability. Powered by a piece of rechargeable 3.7V lithium battery. Easily removeable for battery change to extend flight time. Charge with USB cable. STABLE FLIGHT – Strong wind resistance and stability, designed for both outdoor & indoor. 6-axis design makes the gyroscope adjustable, promoting flying stability and be able to hand lunch throwing into the air; Full Movement: Ascend/Descend, Forward/Backward, Left/Right Rotation, Left/Right Drifting, Hovering. 3D fliping 360 degree stunt tumbling action. 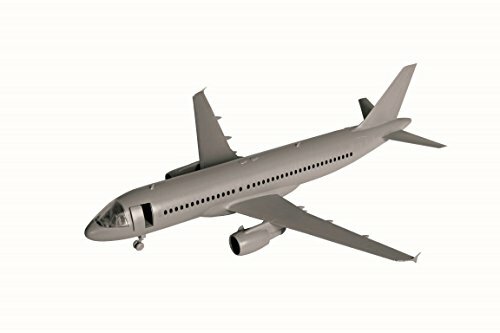 7-8 mins Flight time with a single charge.